Y4 LF How can I use j2Data – Branch to classify items scientifically? We will use Branch, part of JIT to make branching keys. Click “sort” then make up Yes/No questions to sort the animals. Use the RSPB website to find a fact about each bird and enter it into the description box. 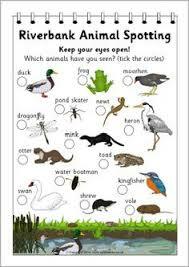 Now make up Yes/No questions to classify the birds in a branching key. Follow the instructions in the Woodland Animals above, to add more birds. What else apart from animals could you classify using Branch? Think about what you would be interested in finding out by doing a survey. I can get children in Year 6 to complete the surveys. Looking after data – by doing a survey, you have a responsibility to look after people’s information safely. How do you think you should do this? Insert symbols – label most important/interesting facts with !